Pick out a name of a friend you wish to surprise and it will be perfectly carved by hand. The puzzle is a very personal gift. It is made from pine wood and it is polished to shine in every home. The gift is perfect for everyone you love and it is great for every occasion. If you want to make an original gift then look at these wooden presents. They are perfect for everyone and are personalized. They are handmade from pine wood and are the perfect idea for a present. They are amazing for everyone and for every occasion. 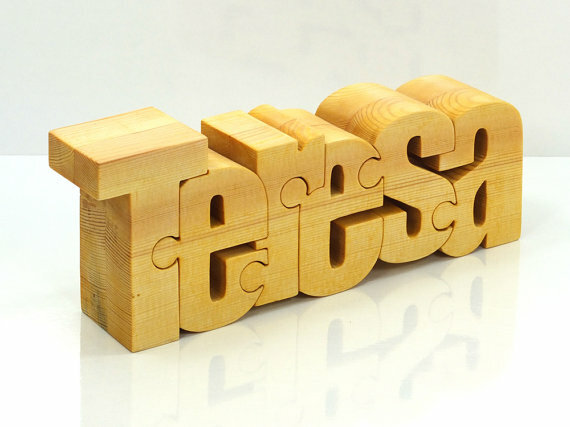 Look at this personalized wooden name puzzle. Wouldn’t you like it if your name was made from pine wood. Well, now it is possible. 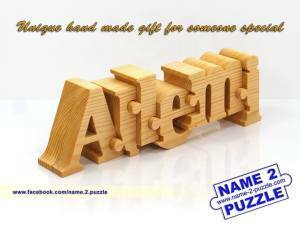 See your name handmade especially for you from pine wood. It is the most personalized gift ever. 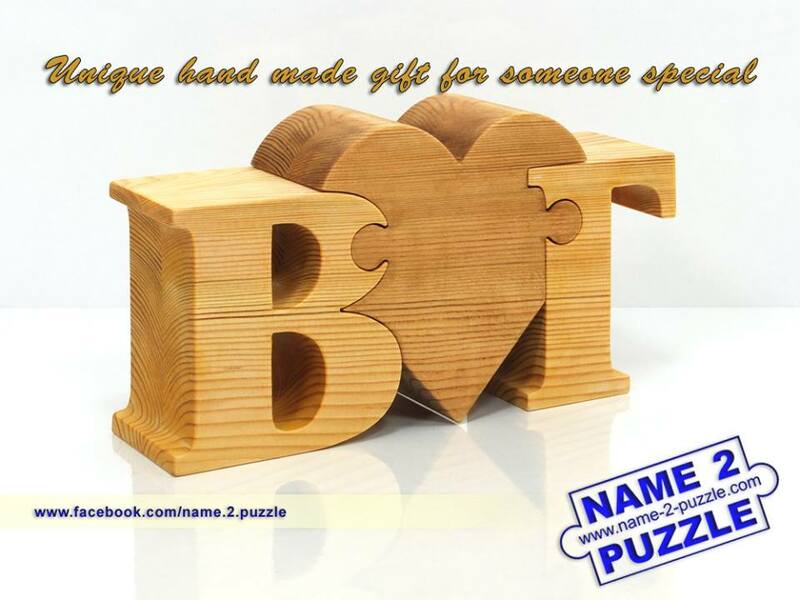 Surprise yourself or the people you love with this amazing wooden gift. Have a special message carved from pine wood for your friends. They are a perfect present because they are personalized. You can have an entire sentence or one word – it is your choice. 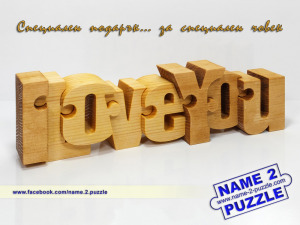 The puzzles are carefully handmade from pine wood and are polished. This gift will be treasured forever. 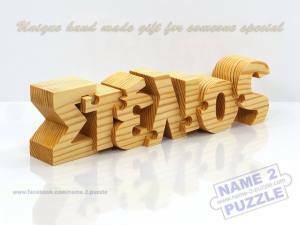 Surprise your friends and family with the one name wooden puzzle. Have their name handmade from pine wood. They will love the gift because it is personalized. It is also a perfect decoration. They are perfect for every occasion. 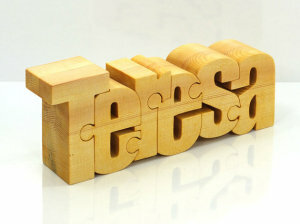 The personalized initials puzzles are handmade from pine wood. They are a very personal gift for family and friends. 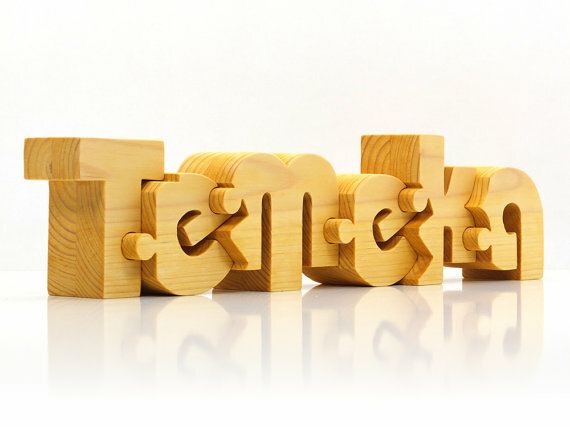 They will be amazed when they see their initials made from pine wood. It will also make a nice decoration for their home.